Growing up, my only experience with beets was when Doug Funnie had them perform on his show. What can I say the 90s were weird. Other than that, I just thought beets were a cranberry-looking vegetable that I avoided at salad bars as a child. It wasn’t until I had what I refer to as a proper beet salad that I realized how tasty these earthy vegetables can be. 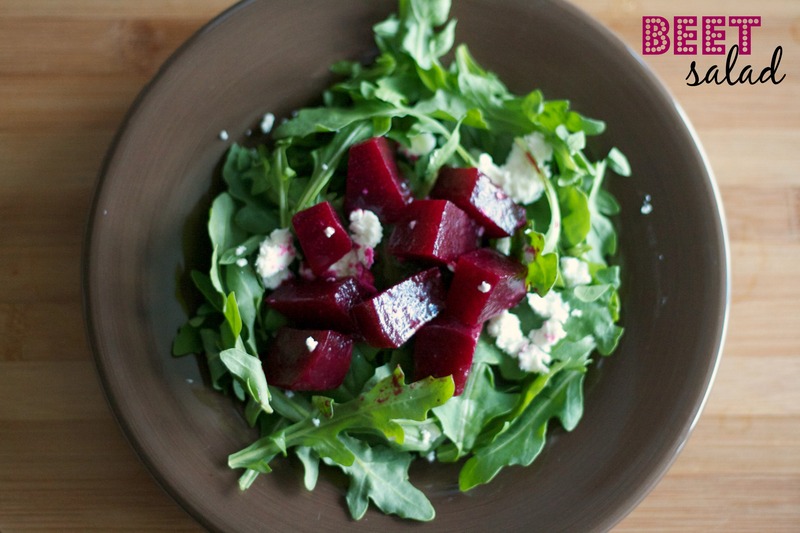 In case your wondering, proper beet salads include leafy greens and goat cheese. 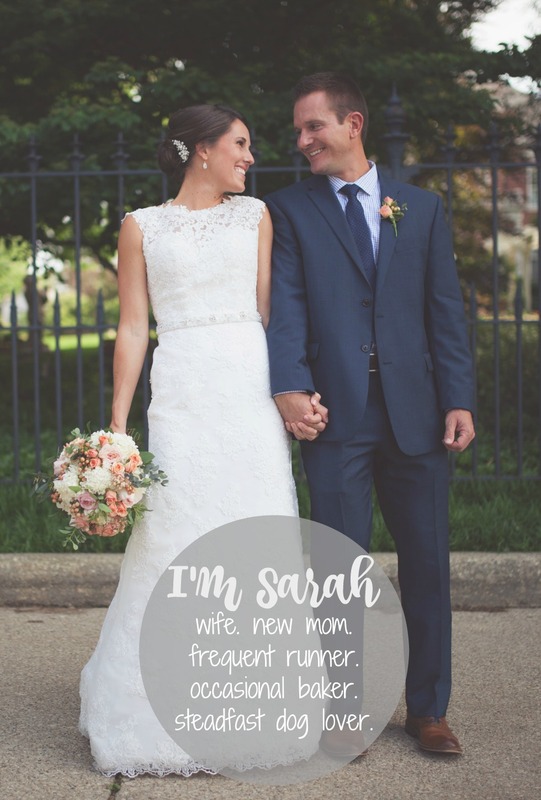 The more the better. Last weekend, we picked up some fresh beets at the farmer’s market so I’ve been wanting to cook up a batch to use on salad throughout the week. I typically roast them, but this time I boiled and marinated them and I’m pretty happy with how they turned out. Remove beet greens (great in other dishes). Chop off ends and slice beets into quarters. In a large pot, bring beets and water to a boil. Boil for up to 30 minutes or until tender. Peel, drain and rinse with cold water. In another bowl, mix marinade. 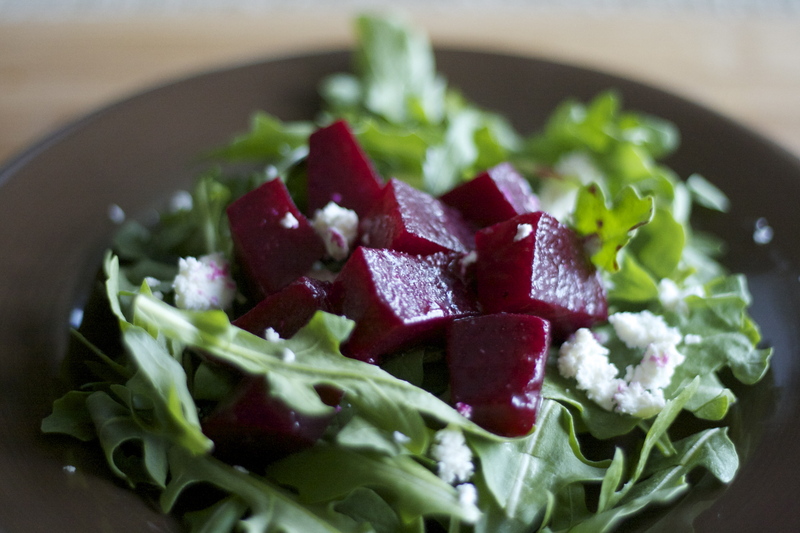 Pour over beets and let sit at room temperature for at least 30 minutes. Chop into smaller pieces. This makes enough for at least a week’s worth of salads. Grab a plate and start with a bed of fresh arugula. Add some soft goat cheese and top with beets and almonds. I like to pair mine with a slightly sweeter than normal balsamic vinaigrette to offset the sour in the cheese and beets. And what better to serve with a light summer salad but a fresh cocktail? I love a good moscow mule. And since we are technically living in the south now, I thought I’d put a southern spin on the traditional moscow mule. I realize that there’s “the south” and then there’s Florida but just throw a Midwesterner a bone here would ya? 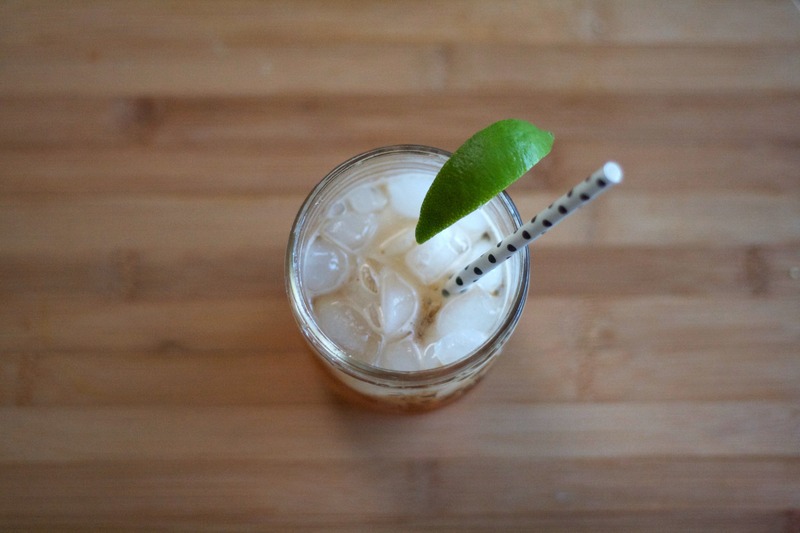 Grab a mason jar and a fun straw. Sweet tea vodka doesn’t taste as strong so you can be a little generous on your pour. Or maybe that’s just me. Either way give it a solid pour. Top with ginger beer and enough lime juice to cut the sweetness. 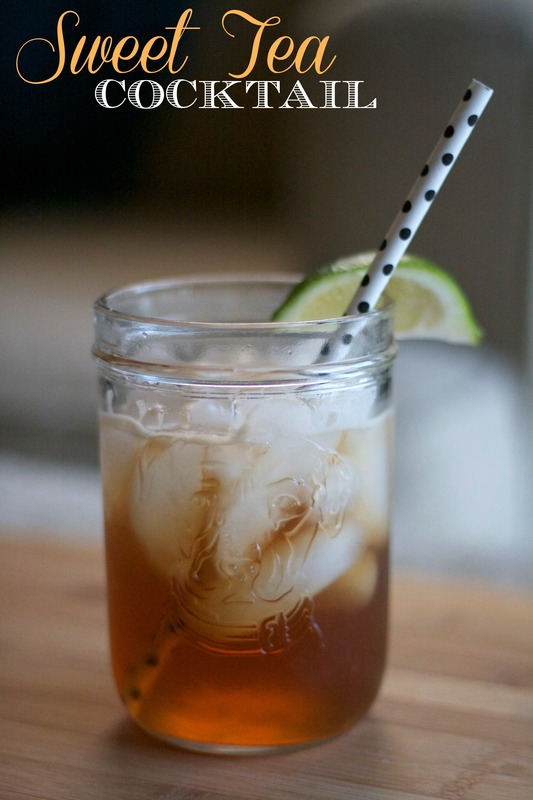 You can easily swap out regular sweet tea for vodka or unsweetened tea for that matter. Either way it’s a refreshing drink as the temperature heats up, or in our case, heats up more than you think temperature could possible heat up.